Softpedia is the first to inform today, May 29th, that the highly anticipated Fedora 17 (Beefy Miracle) Linux operating system has been released on the official torrent channels of the Fedora Project. Delayed three times, the final and stable release of the Fedora 17 Linux operating system, dubbed Beefy Miracle, was announced a few minutes ago, May 29th. 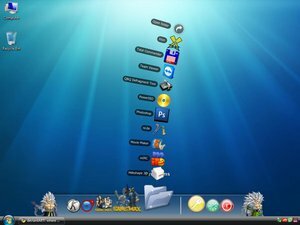 Fedora 17 (Beefy Miracle) is powered by the Linux 3.3 kernel, it features the GNOME 3.4 desktop environment with the GNOME Shell interface, of course, and the KDE Software Compilation 4.8 environment. Click here to view the Fedora 17 GNOME screenshot tour. Click here to view the Fedora 17 KDE screenshot tour. Download Fedora 17 Install DVD right now from Softpedia. Download Fedora 17 GNOME Live CD right now from Softpedia. Download Fedora 17 KDE Live CD right now from Softpedia.